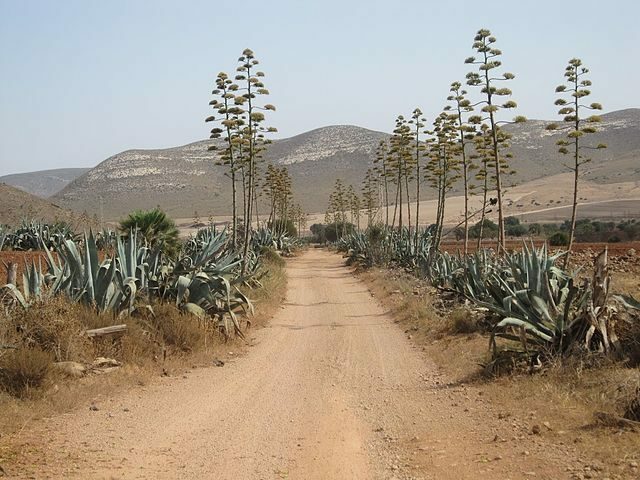 Cortijo del Fraile is an abandoned agro-pastoral farmstead of 1,800 acres on a windswept plain, four miles northwest of Rodalquilar in Almería, Spain. The complex consists of a large central courtyard corral around which stand the main house, houses of the sharecroppers and shepherd, a public oratory, patio, belfry, a funerary crypt with twelve niches, corrals, barns, wells, and cisterns. Eucalyptus and palm trees are dotted between the buildings, and in front of the main house is a circular cobbled area. It was also called “Cortijo del Hornillo” because there is a dome oven on the central patio. Built in the 18th century by the friars of the Convent of Santo Domingo de Almería, the farm was a significant agricultural center. In 1836, it was divided among several owners as a consequence of the Ecclesiastical Confiscation of Mendizábal, and eventually it was sold to an Almerían family who used it until the 1980s. Cortijo del Fraile had exceptional historical, artistic and social significance. The site is important as an example of traditional Levantine architecture and Almerían agribusiness farmhouses. 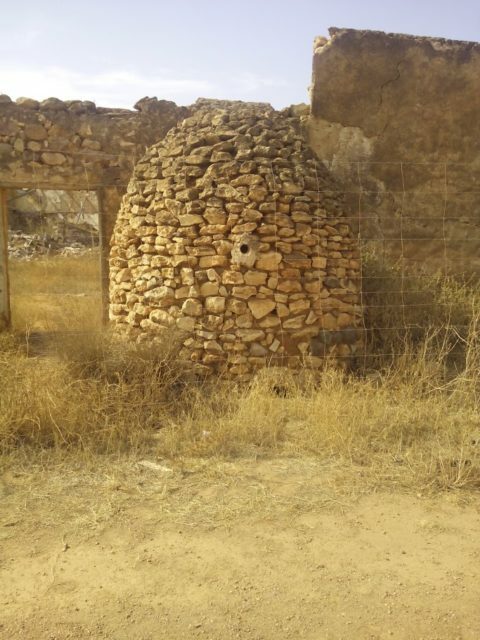 The farm is well known for an incident that took place in July 1928: the so-called “Níjar crime.” A young woman named Francisca Cañadas lived at Cortijo del Fraile at that time. Her father promised his daughter’s hand in marriage to a laborer, but she was in love with her cousin Francisco and they disappeared together. Unfortunately, their journey was interrupted by the brother of the jilted groom. He shot Francisco in the head and Francisca was left badly beaten. She survived and lived a sad and lonely life until she passed away in 1987. This crime inspired Federico García Lorca to write his drama in verse Bodas de Sangre (Blood Wedding), premiered in 1933. 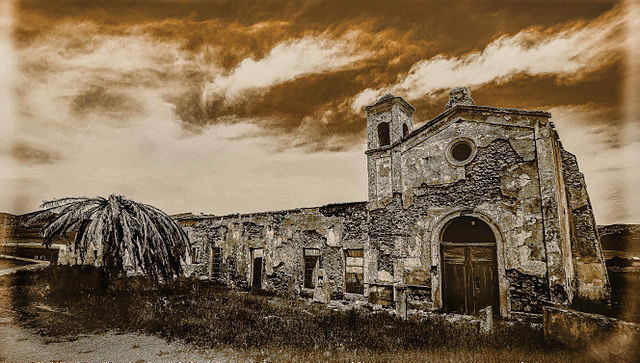 Many other writers and artists have also made a direct connection to Cortijo del Fraile, heralding its cultural significance. Carmen de Burgos, (also known as Colombine), wrote the novel Puñal de claveles in 1931 with a different ending but also inspired by the event. 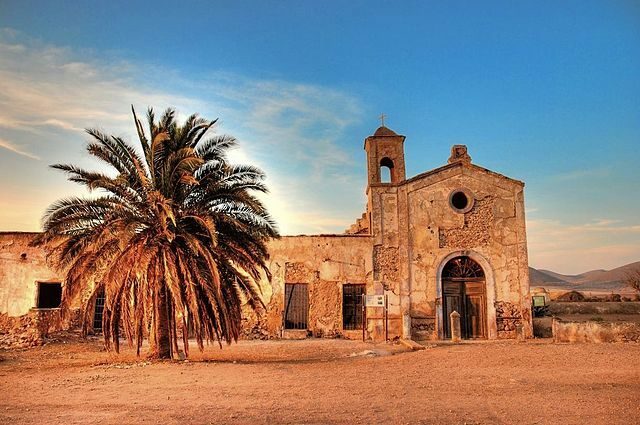 The main house and its surroundings have been used for the filming of many movies such as The Good, the Bad and the Ugly, I Am the Revolution, For a Few Dollars More, A Bullet for the General, Ace High, and the television series Los Hombres de Paco. The picturesque ruins of the 18th century farmhouse are now fenced off, but still hold a sense of tragedy. 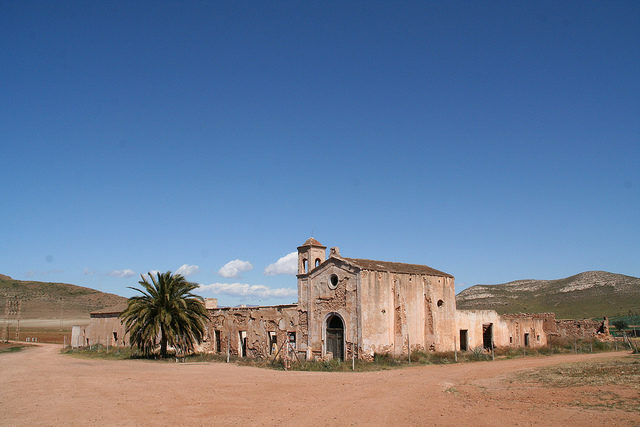 Located southeast of Nijar in the National Park of Cabo de Gata, Cortijo del Fraile is considered an important landmark. In March 2010, it was recognized as a Site of Cultural Interest as a Historic Site. 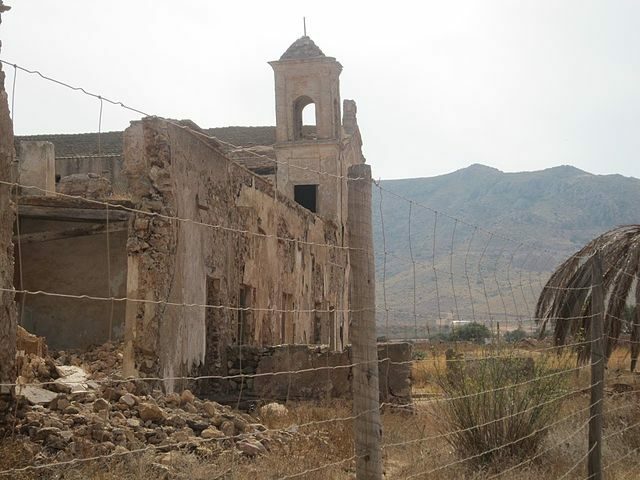 In 2011, it suffered major damage and some walls collapsed, then several days later the mayor of Nijar, Antonio Jesús Rodríguez, proposed that Cortijo del Fraile be owned by the public. This process is still under negotiation between the owners and the Junta de Andalucía. However, rehabilitation of the property is persistently demanded by various social movements due to its cultural and historical importance.